Protect yourself! You hear it all the time. Protect your identity, protect your vehicle, protect your home, get a flu shot. But do you hear anybody talk about protecting your heart from being caught in a snare? Jesus spoke of this in Luke 17. He tells his disciples that offenses will come. When he spoke of offenses, he was referring to situations that would cause them to stumble or fall. Offenses are traps or snares that take our hearts captive. Much like the branch of a tree is pulled down and attached to a rope so that it can snare rabbits or other small animals. Each of us could become ensnared and one major way for that to occur would be by refusing to forgive. Right after Jesus’ warning of offenses (snares), he talks about the brother sinning against them and then repenting: not only once, but even seven times in a day. His advice or counsel was for them to forgive each time. Refusing to forgive can lead to anxiety, anger, depression and a host of physical elements. It would be wise for us to forgive and by doing so, we are not setting the offender free: we really are freeing ourselves. Forgiveness is not explaining away the offense or allowing the person to be free from the consequences of their wrong. It is simply freeing them from owing you anything. I remember a conference speaker referring to a situation when he was the principal of the school. He explained how a student brought a firearm to school. When he was caught, he was very sorry and in tears asked the principal for forgiveness. The principal told the boy that he forgave him, but that he could not speak for the law which he also offended. With that, he picked up the phone and called the police. When we forgive, we are acting in the same manner: forgiving them of a debt owed to us, but still having them answer to God concerning their offense against him. Outside of being persecuted for Christ, you are not required to be a doormat and allow people to wound and hurt you. But you are required to forgive. Remember, when you forgive, the person you freeing is yourself. It was a number of years ago when my beautiful and fruitful garden was being destroyed by an intruding groundhog. In an effort to rid myself of the varmint, I bought a muskrat trap and set it in the garden. It was not long until I received a distressful phone call from my wife informing me that a “kitty cat”was caught in the trap. I quickly drove home from the office to attempt springing the cat from the trap and setting it free. However as I tried to get close enough to open the trap, the cat fought vigorously and kept me from setting it free. I eventually removed its strength by covering it with a blanket and then released the trap. He eventually ran free. As I pondered what happened, I ask myself, “I wonder how many times I am like this cat: fighting God because I think he is trying to do some unwanted thing in my life when he is really only trying to help me? Jacob, who later became Israel, was like that. (Gen. 32:25) He schemed and plotted all of his life-that was until he was all alone and ready to face Esau. God was not going to allow Jacob to continue in his way. He confronted him and physically wrestled him from progressing forward until he recognized his weakness and inability. Man’s pride never allows him to yield so God had to break Jacob. He did this by touching him in the thigh which was his greatest place of strength. He did not break him to make him a failure, he broke him in order to make him a victor. Jacob went from wrestling against God to clinging to him and asking him for a blessing. By asking for a blessing, he revealed his dependence on God and no longer in himself. He gain the strength of a prince with God by being broken as a man. We too can be like Jacob. Situations in life that we find ourselves fighting against may be the instruments God is using to break us of our own strength and self-reliance. It would be best that we go to God with these situations and then yield ourselves to him for the work that he wants to accomplish. Whether the problems go away or remain, we—like Jacob—will receive God‘s blessing. I remember a song from my childhood. The opening line was, “One is the loneliest number that you’ll ever do.” If there is one lesson we all probably have learned is that it is not good to be without friends. Most of us have had many acquaintances, but only a few close friends. Similar to having the need of friends, we have an even greater need. Most people will never recognize this need: they may feel the effects of it, but never really identify the need. The need to which I am referring is our need for a shepherd. David recognized this need and spoke of it in the 23rd psalm. Think about it for a moment. This is David, the great giant slayer; the man who wrote so many songs that have been a blessing to believers for centuries; and the eventual king of Israel. It is this man who states that the Lord is his shepherd. What an amazing statement, but even greater truth can be derived from his proclamation. Consider this, wouldn’t you like to know the right way to go or the answer to the difficult situations that you face? Everybody wants that, but again many will miss out. The reason for this is because in order for each of us to have a guiding Shepherd, we will need to give up the rights and control of our lives to him. This will take humility. In order to truly seek the Lord, you will need to humble yourself: that is to recognize that you do not have the ability to successfully live and fulfill the purpose for which you were created. When you recognize this and turn to the Lord, he will become your shepherd. If you don’t know Christ as your Savior, he will lead you to trust him and he will continue to guide you throughout the rest of your life. Do you remember your childhood favorite candies. One of mine was Sweetarts. I remember when they came out. They were a two inch disk that packed the best of both worlds in candy: sweetness and tartness. This candy reminds me much about life: it is filled with sweet events and also events that are tart. Things have changed since then: both my tastes and also the size of the candy, but life is still the same. For the believer, blessing and sorrow come in the same package, it is in times of deepest hurt and sorrow when God will be present to strengthen and comfort you. The problem for many is that because their focus is so much on the hurt and sorrow, they fail to recognize God’s presence or working in their lives. David experienced just such an event. He sorrowed so greatly over the loss of his son that he failed to see his victory blessing and the goodness of the Lord in the people that supported him. What you can do as you face trials is to stop and pray to the Lord. Acknowledge that you know he allowed this event to occur and you believe that he wants to work and manifest his presence in the trial. Pray for him to guide you and to help you recognize his workings. Rest assured: although it may take time, he will answer your prayer. If the Lord gave you what you really deserved, would you be ready for it? Would you look forward to it with joy or does the thought frighten you? What we fail to recognize is that it is not just a hypothetical question. These were words spoken by David when he interacted with King Saul who sought to kill him. He knew that God was sovereign and would return upon men that which they have rendered to others. The same still holds true today. 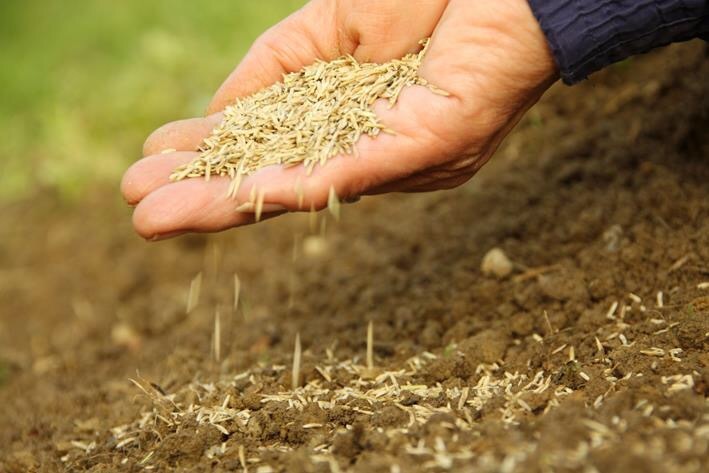 The New Testament describes the principle as sowing and reaping. What you sow, you will also reap. It may take some time before it arrives, but it is coming. Just like it takes all summer for apples to grow and ripen on a tree, it may take most of a person’s life before they reap what they sow, but be sure, they will reap. Much of this principle concerning sowing and reaping is in relation to how we treat other people. If we sow righteousness towards others, then we will get righteous treatment back, but if we sow wickedness then wickedness awaits us. Some may ask, “What guideline could I follow that would aid me in sowing righteousness?” The answer would be to love your neighbor as yourself. (Matthew 22:39). If you allow your actions to be motivated by what is best for another person or make decisions that enable you to meet the needs of someone else instead of focusing on yourself, you will most consistently sow righteousness. This doesn’t require you to give all of your money to the poor or even to live a dejected life. It only requires you to start focusing on others instead of yourself. Give somebody recognition. Show patience and mercy, try looking at situations from the other person’s perspective or even take time to listen to people and their problems are opportunities that each of us have to sow righteousness. It will not cost you one penny, but it will be an investment worth millions of dollars. For you, the world of people is a field ready for planting. What kind of seeds will you sow?